c 20ACE by "Herophilos, Son of Dioskurides"
Elsewhere in the book, it is explained that 'oyl of Luna' is silver dissolved in acid, and 'oyl of Mercury' is a sublimation of mercury and saltpeter. From a purely technical standpoint, the formula would have been regarded credible by 17th century and earlier practitioners in that both mercury and silver were successfully used as additives to glass and they do integrate into the matrix. 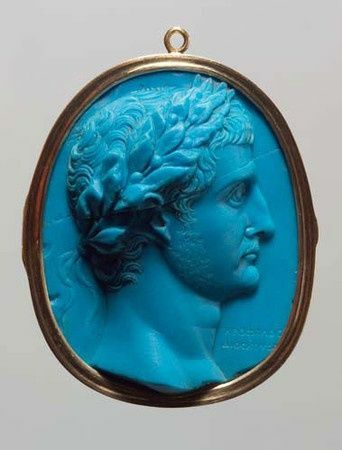 Notably, Antonio Neri used both of them in his chalcedony glass. In Neri's case he was using these metals to produce color, although he does not attribute specific tints to the ingredients. Under some circumstances, silver is known to produce an attractive blue. 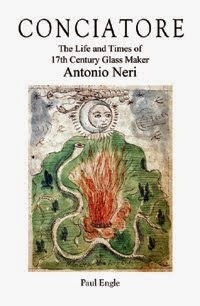 It should also be noted that Renaissance glassmakers used similar silver-mercury formulas to produce the reflective layer on finished glass mirrors, in a process that resembled gilding. They formed what was known as "mercury glass." It is not beyond the pale to speculate that experiments would have been conducted by alchemists to add such concoctions directly to the glass melt. In the end, though, there is no indication that these additives would produce a malleable glass. Last, we should note that prolonged exposure to mercury vapor causes irreversable neurological and organ damage. It undoubetly contributed to the demise of alchemists, gilders, milliners and many others who worked with it throughout history.